An extensive network of specialized carriers allow us to tailor the right client solutions. 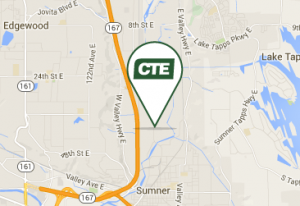 At CTE Logistics, our goal is to be the single source solution provider for all our clients’ truckload requirements. We understand that our clients’ needs vary; which is why we partner with hundreds of specialized carriers, allowing us to tailor just the right solution for each client. Our dedicated team works with each client to quote, schedule and monitor your shipment from origin to destination – so our clients can focus on what matters….growing their business.